Calle Wollgård has since 2008 in several ways been involved in the orphanage of Muang Mai, Phuket, Thailand. It all started with volunteer work in 2008 and 2009. This eventually led to the charity project Happy Walk 2011. Happy Walk was a charity project with the aim to raise money for the orphanage in Muang Mai. This was done by a long walk that took its start in Bangkok and ended fifty-three days and 1 000 km later when Calle and his four friends Christoffer, Evelina, Sofia & Sofie passed the orphanage’s gate in the village of Muang Mai. The project had then raised more than 25 000 US dollar to the orphanage. During most of 2014 Calle together with his new team consisting himself, Christofer, Fredrik & Tomi performed something that would be an amazing experience for all people involved. A project that once again combined adventure with charity and who then became what one might call success and at the same time a life time memory. The project was called Happy Tour. The idea of Happy Tour was to once again make a fundraise for the benefit of the orphanage of Muang Mai, this time by cycling from Sweden to Thailand and more particularly Muang Mai. The aim was to raise as much money as possible to Happy Child Foundation, who support the orphanage. 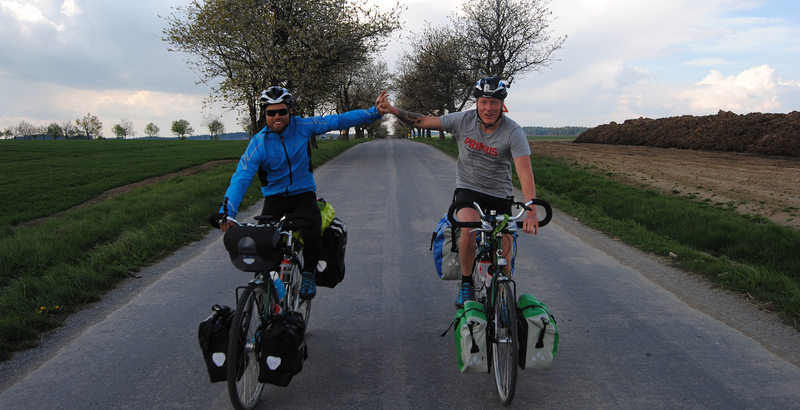 Happy Tour took us on a 17 800 km long journey on four bicycles starting in Sweden, through a rolling Europe to the heat in Central Asia, before they conquered China to finally cross the goal at the orphanage in Muang Mai, Phuket. During the journey, in addition to a great outdoor experience, the team had the honor to meet loads of great people who invited the group for shelter, food, water, fruit, kind words, and lots of smiles. Behaviors that we aren’t used to at home but on the other hand was more of a matter of course for these people. Something the group will forever carry inside their hearts. When they finished this epic journey, after more than eight months in the saddle, the project had raised almost 45 000 US dollar.